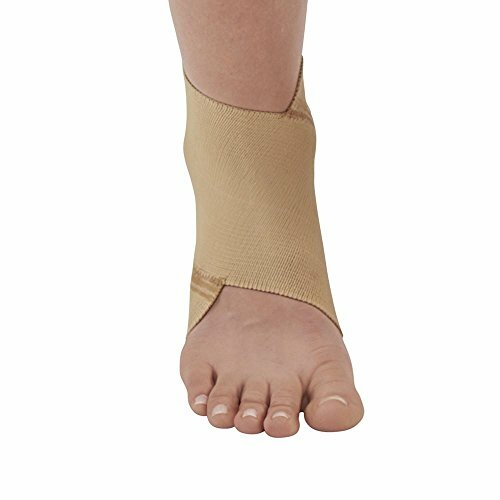 This ankle support is designed for weak, tired or strained ankles. It provides a comfortable, uniform compression over the affected area while helping to permit continued activity without binding or cutting. Fiber content: cotton, rayon and rubber. *Post cast/surgical support for weakened ankles. *Elastic, cotton-rayon blend fabric provides firm support; helps improve circulation to promote healing. *Can be worn on either right or left ankle Caution: This product contains natural rubber latex which may cause allergic reactions. If you have any questions about this product by Ames Walker, contact us by completing and submitting the form below. If you are looking for a specif part number, please include it with your message.